Rhode Island-based folk-rockers The Low Anthem have made some large strides in just a few short years. A mere two and a half years ago they self-released their sophomore album, Oh My God, Charlie Darwin, which made quite a splash, despite its relative scarcity. The following year the band was signed to Nonesuch Records, who remastered, reordered and rereleased the album to even wider acclaim. This month, the band offer the follow-up release, Smart Flesh, one of the most anticipated albums of the spring. And listening to it, one feels like the band took the energy of anticipation and used it to fuel their best album yet. Whatever their motivation, the band have a number of secret weapons at their disposal, from the contributions of new member Mat Davidson to the expert mixing from Mike Mogis of Bright Eyes fame. But perhaps the key to Smart Flesh’s success is where it was recorded: an abandoned pasta sauce factory in Central Falls, RI. An unlikely location to record a record, to be sure, but leader Ben Knox Miller and his compatriots used the cavernous environment to dramatic effect, lending an otherworldly sound to their already sophisticated yet minimalist melancholic folk-rock jams. Serving almost as a fifth member of the band, the inspired setting gives The Low Anthem the perfect resonance for their oft-spooky tales of love and loss. From achingly beautiful, but barely there songs such as “Love and Altar” and “Matter of Time,” to the full-bore rave-ups “Boeing 737” and “Hey, All You Hippies,” Smart Flesh is a sure-fire bet for “album of the year” considerations. With ghostly echoes of such luminous predecessors as Bob Dylan, Leonard Cohen and the country side of the Rolling Stones, The Low Anthem has raised the bar for practitioners of the high-lonesome side of indie folk sounds in the new decade. Smart Flesh will be available on demand from February 14 though February 27, 2011. The album will be released on Tuesday February 22, 2011. 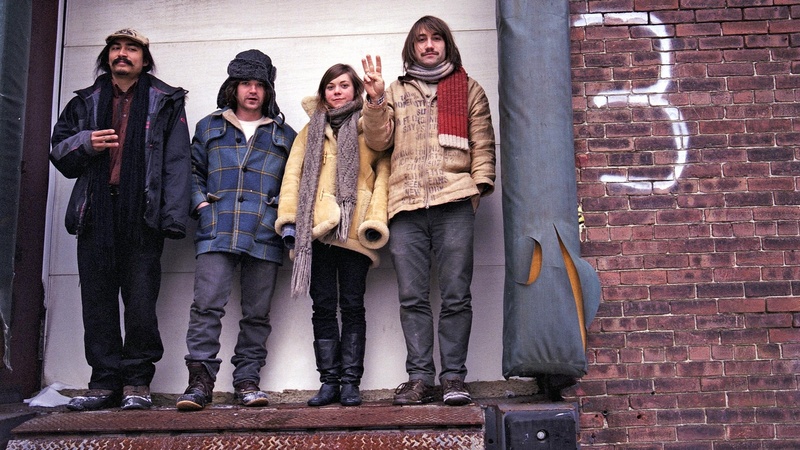 Check out The Low Anthem's performance on Morning Becomes Eclectic from March 25, 2010.